Springdell is a gentle little town, a little down the road from here. Everyone who passes through here, it seems, is on the way to Springdell. A bit bigger than here, but not by much. Why, says a-plenty that Springdell’s the biggest town around, considering how it is. 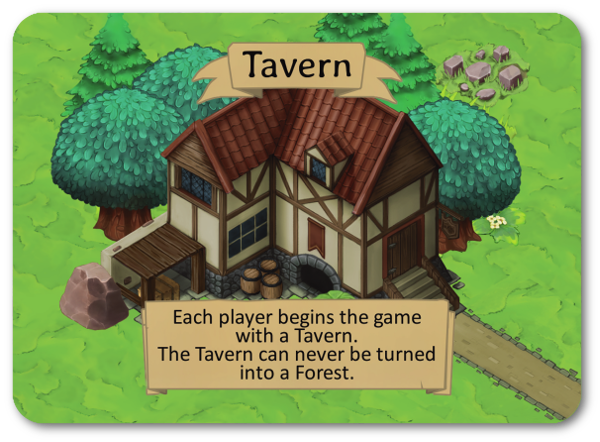 But you’ve been walking long – come, sit, and stay here at the tavern for a while. The Roads To Springdell is a trick-taking town builder game for 2-6 players. 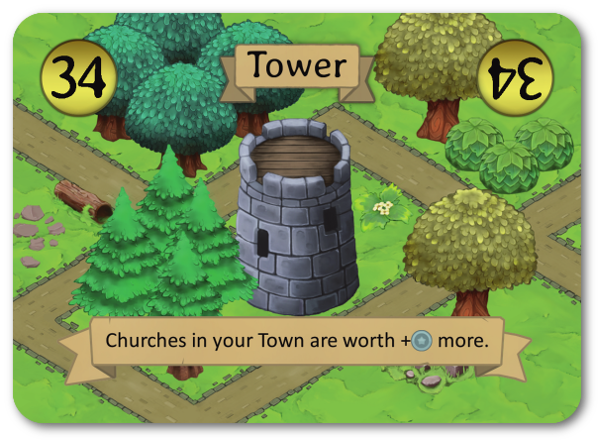 Illustrated beautifully by Anibal Casas, the game lets you build your own little town while the actions of all players together grow the larger town of Springdell. What does well in Springdell does well in your town as well – and each trick, you’ll be mindful of what goes into your town and what becomes of Springdell. 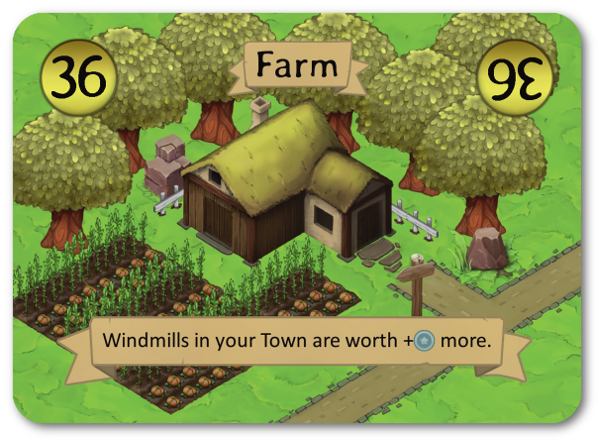 The Roads To Springdell is meant to be simple enough to play with younger players, but complicated enough to reward replay and attention to detail. Springdell’s growth potentially rewards all players, but winners and losers of each trick have a chance to shape Springdell’s growth. The Roads To Springdell takes about ten minutes to play, and only requires a deck be shuffled once. There needs to be some table space for players, and an ability to read is an asset to understanding the game. Want to Buy The Roads To Springdell? For international customers, you may prefer to buy print-on-demand via DriveThruCards (the same printer we use for our local stock). You can buy The Roads To Springdell at DriveThruCards as a professionally printed card deck. Already bought Burning Daylight? 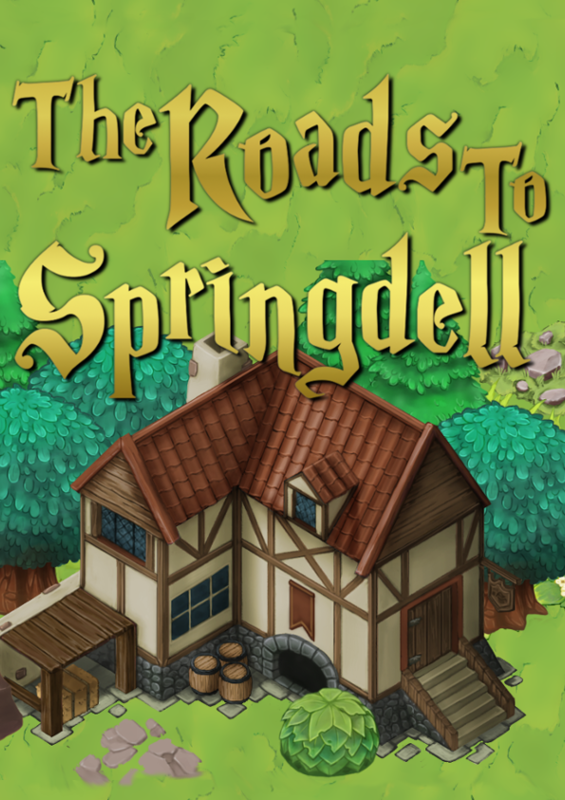 Download the latest revision of the The Roads To Springdell rulebook. You can also follow us to receive notifications of rules updates!